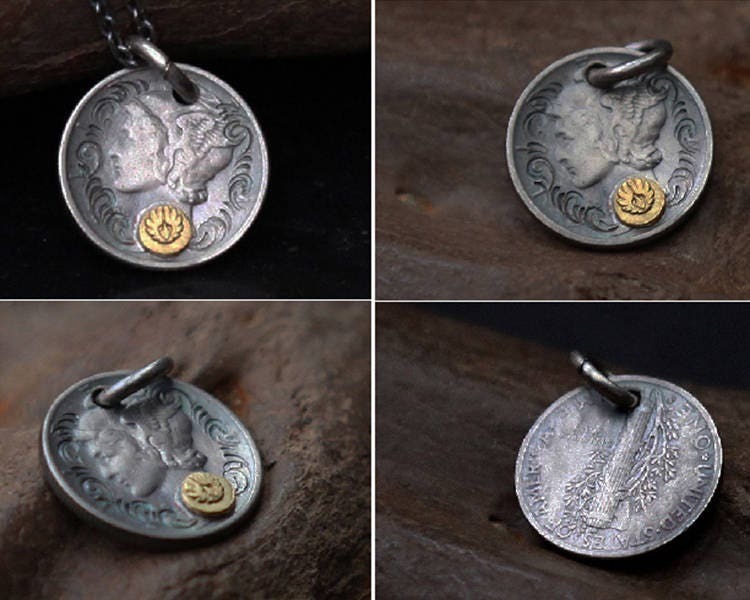 The vintage coin pendant is crafted with a genuine collector’s item - a 1916-1945 mercury dime coin. 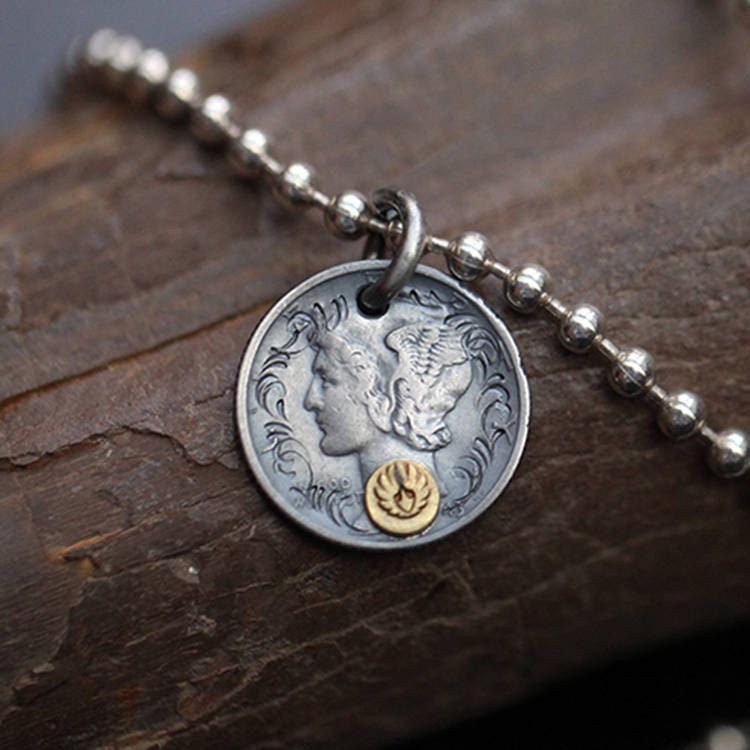 The Mercury dime is a ten-cent coin struck by the United States Mint from 1916 to 1945. 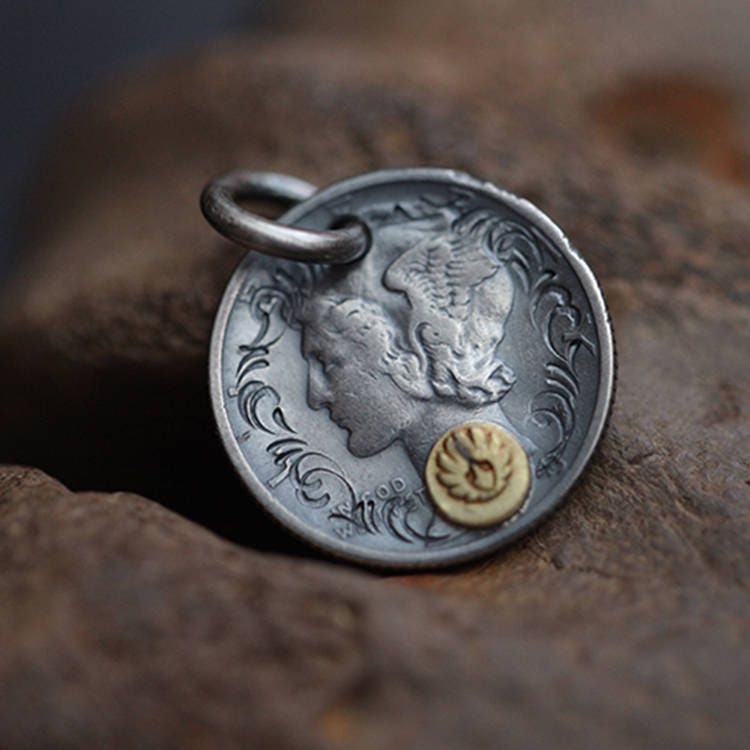 Designed by Adolph Weinman and more correctly referred to as the Winged Liberty Head dime, it gained its common name as the obverse depiction of a young Liberty, identifiable by her winged Phrygian cap, was confused with the Roman god Mercury. 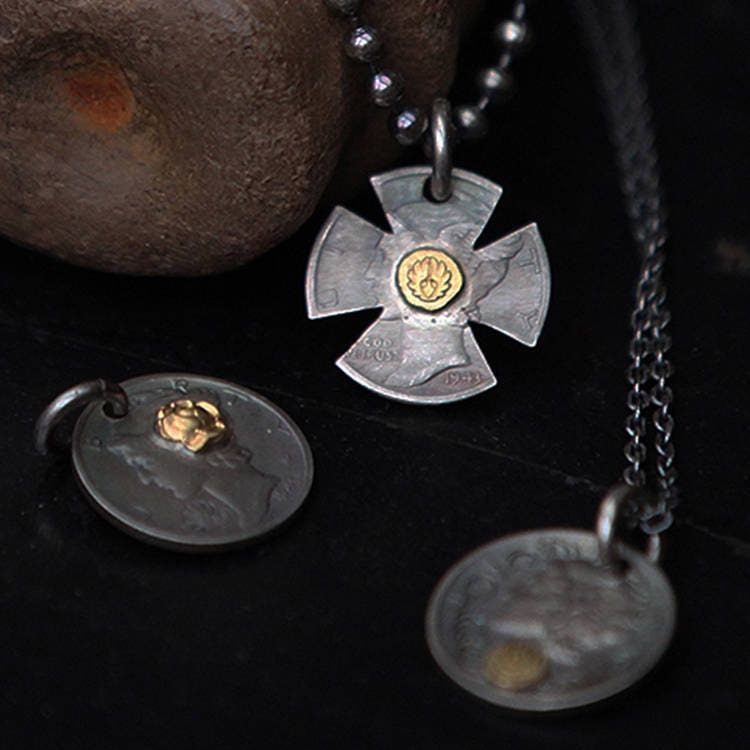 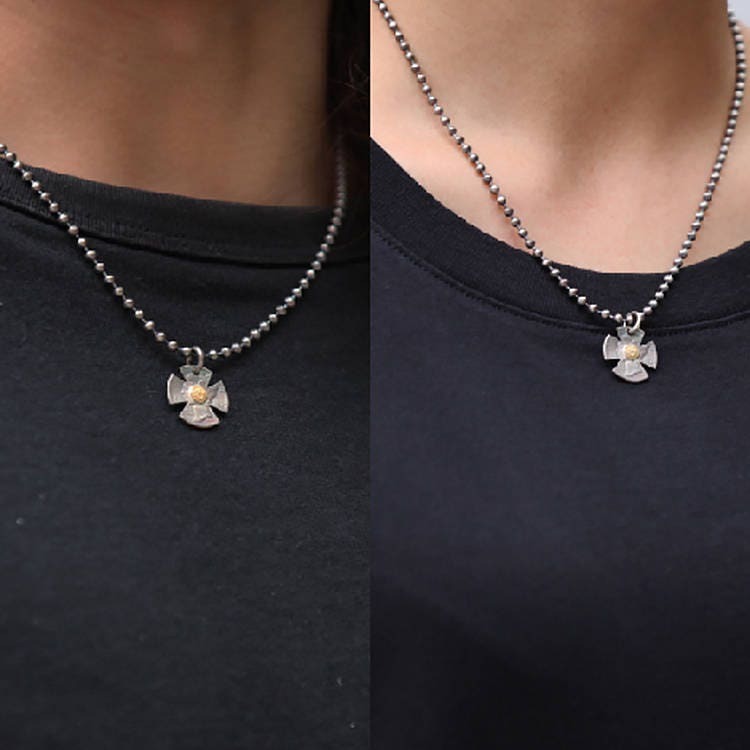 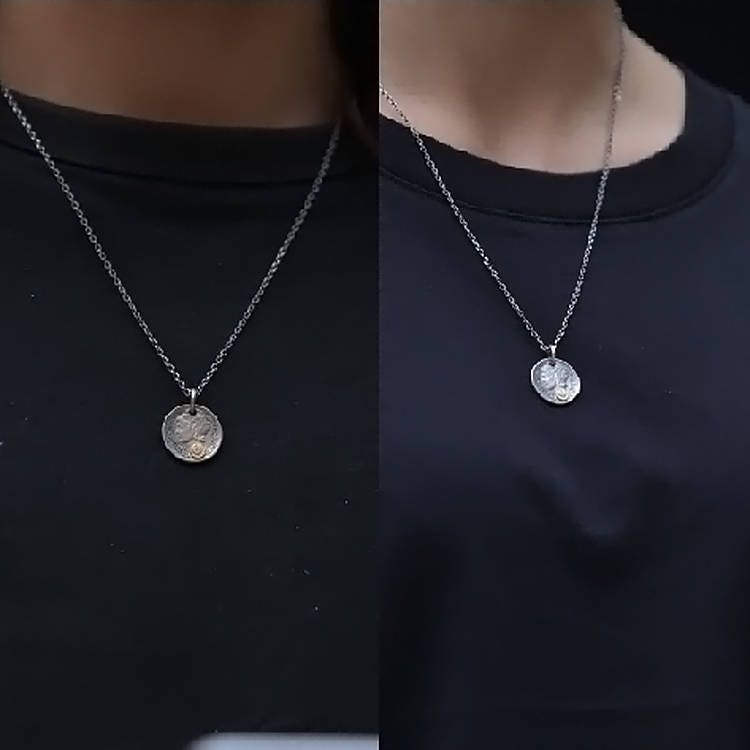 The silver coin pendant is a fusion of two cultural icons - the mercury coin with either 18K gold rose or eagle logo. 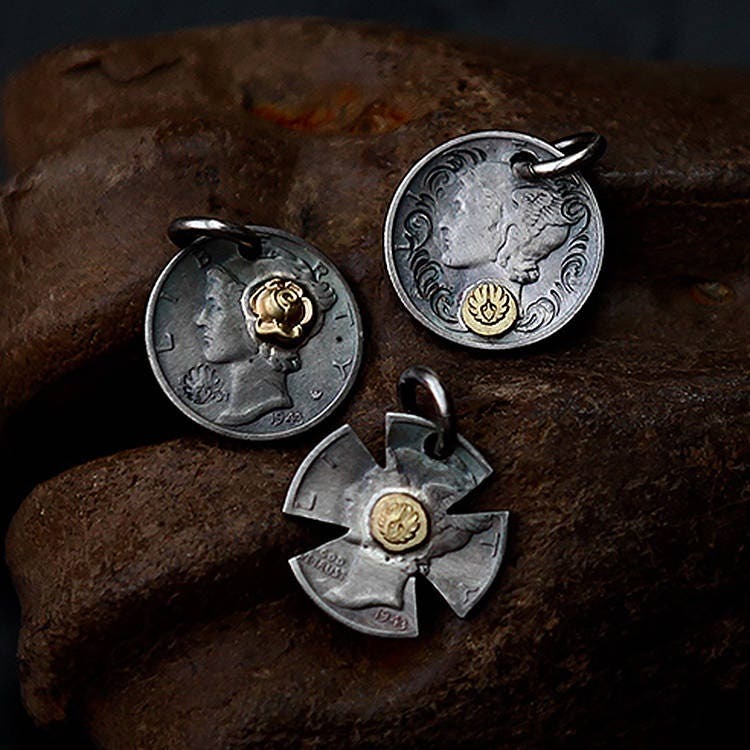 Wear the authentic dime coin as a solo pendant, or add it as a charm to build up your necklace. 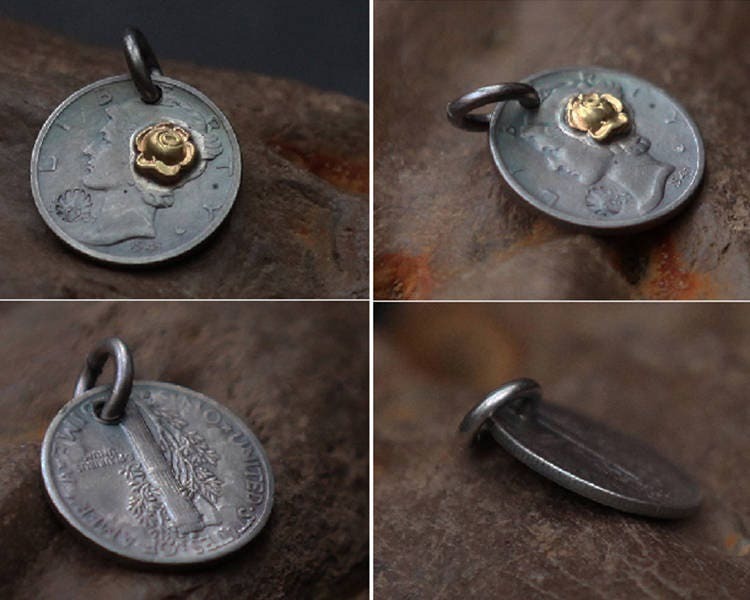 Please note: This pendant is sold in oxidized finish and the coin year is randomly picked. 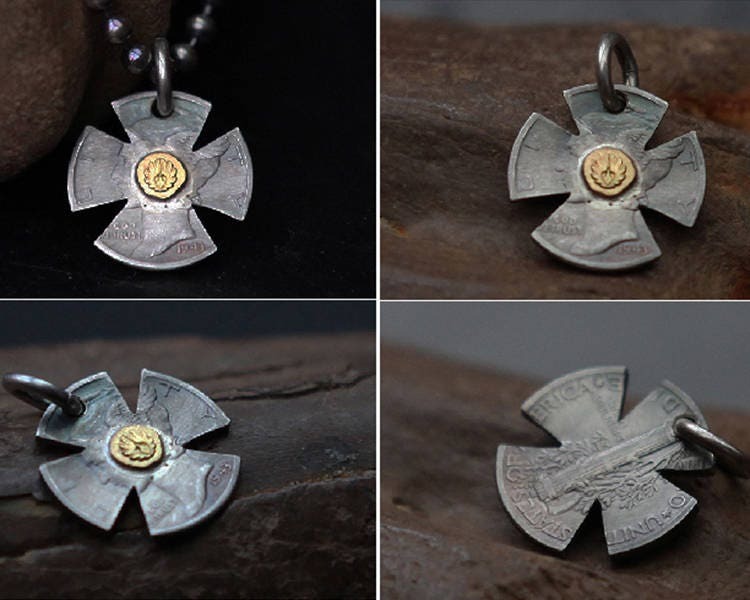 You can choose either dime with rose, dime with an eagle logo, or ninja dart with an eagle logo. 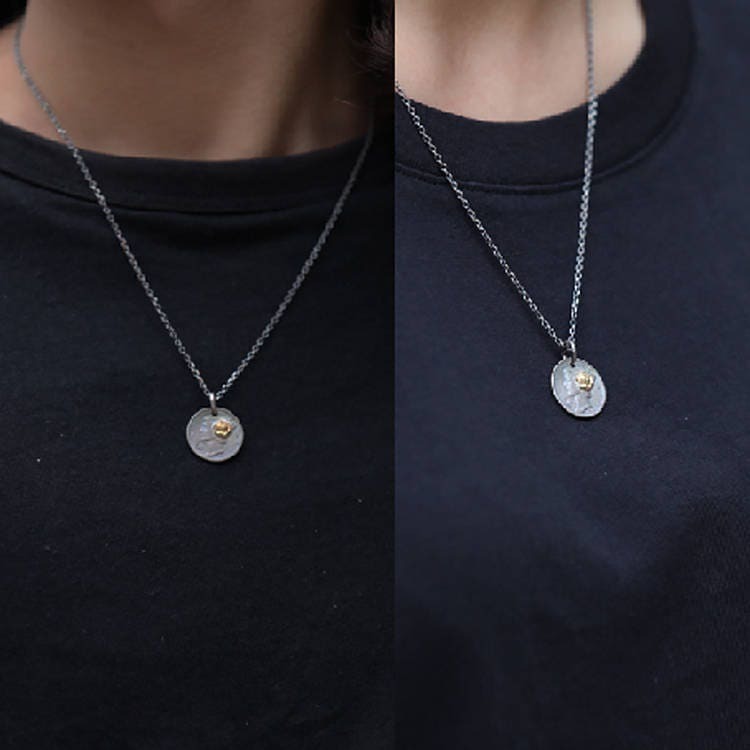 The model is 5'8"/173cm and wearing 50cm chain necklace.